We produce our Kelpies catalogue, featuring all our Scottish children’s books, twice a year. You can browse our most recent catalogue below, or select from the catalogue archive. Click on the image above to launch our interactive pdf catalogue. 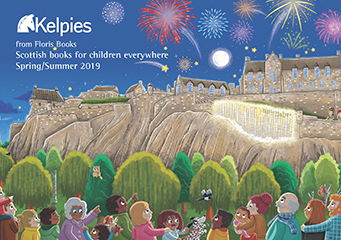 The Kelpies books and catalogues are produced by independent publisher Floris Books. Floris Books also publish a range of international children’s picture books, non-fiction and education titles. To view the current Floris Books or dedicated Steiner-Waldorf Education catalogue, please visit the Floris Books catalogue page.